I have a real problem with patience as far as my network is concerned. When the internet is slow, I throw all my toys out of the crib. It’s maddening. The good news for me is that the 5G network is coming. The bad news is that the 5G build-out is lagging behind many other countries in the U.S., which means it isn’t coming any time soon—at least not nationwide. The slow rollout of the 5G network in the U.S. could be a Customer Experience fumble for the telecom companies that are touting its arrival, resulting in a loss of emotional engagement, customer loyalty, and revenue. For telecom and device companies launching 5G networks and devices, they could be setting themselves up for a Customer Experience fail. 5G refers to the fifth generation of wireless technology. For those of you that have been living under a rock, in a cave, or on the moon, we are currently using the 4G/LTE network (in the most populated places, anyway). The goal of the upgrade is to increase speed—and hallelujah to that! 5G will enhance “mobile broadband services,” which is a technical term that means you can stream the new season of Ozark faster. But 5G is for more than streaming Netflix. It will also enhance the performance of self-driving cars and manage all the connected devices on a network better than the 4G LTE system. Some experts say it will improve battery function and device-to-device communication as well. Setting Themselves up to Fail? 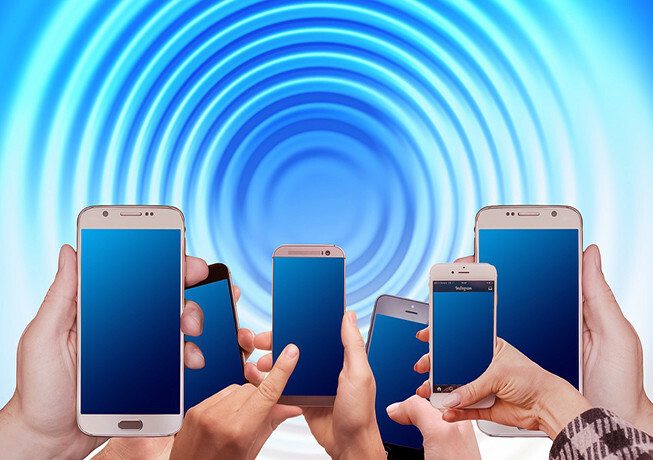 Many of the big telecommunications companies announced they will launch either services or devices that will use the 5G network in the next year. AT&T, Verizon, T-Mobile, and Sprint all have plans to use the latest and greatest generation at the end of 2018 and early 2019. A few phone companies have said they will have 5G phones next year. Verizon will have the Moto Z3, and Sprint will promote the integrated 4G/5G Android phone from LG. However, Apple and Samsung have not made any commitment to a 5G device at this point. That said, the U.S. is expected to spend around $2.3 billion (with a b) on the upgrade in 2021. What that means for those companies that are launching 5G in late 2018 and early 2019, however, I cannot imagine. I would caution companies from making too big a thing about the 5G transition in the near future. Quite simply, it’s a brand promise that they can’t keep. Brands make promises to their customers. Brands promise to drive faster or clean better or taste more delicious than the competition. Brands are a fluid concept, however, and delivery upon the promises they make is a matter of interpretation. The customer determines whether or not the promise is kept and how accurate it was. When a brand delivers, it is great, and sometimes even better than great. But when a brand does not deliver, it can be far less than great and sometimes even worse than that. When you design a Customer Experience, you want to ensure that you do what you say you will. Otherwise, your brand promise builds up customer expectations and leaves the customer feeling disappointed when they aren’t met. Disappointed is one of those customer emotions you do not want to evoke. As you can see, disappointed is right at the bottom, in the “Destroying Cluster.” When you disappoint customers by not upholding your brand promise, i.e., the use of the wicked fast 5G network, then you destroy your Customer Experience. As I said, I get really peeved when my technology is slow or does not do what it said it would. It is compounded further by my high expectations for internet speed. My distaste for broadband providers is already well known, but that is not to say that it couldn’t be any worse. So, if I were to upgrade to a 5G phone for use on the super-fast 5G network that has been promised me, how am I going to react when it doesn’t work? How would you? The 5G network sounds terrific, exciting, and, quite literally, next level stuff, but we aren’t ready yet here in the U.S. I would be careful if I were the telecom companies before announcing how incredible 5G was going to be on this vast new network. Being the first is not as important as being the best, in some cases. After all, your brand promise needs to be one you can keep. Otherwise, you risk your brand’s good reputation which can sour at the hands of unmet customer expectations at 5G speed.